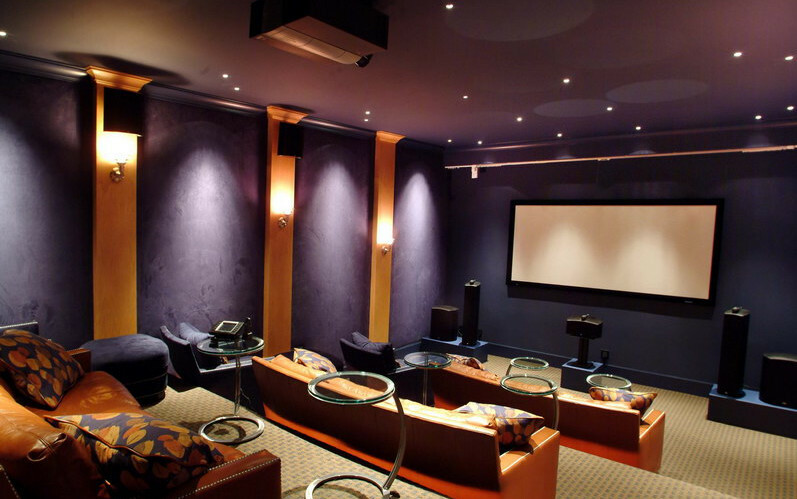 The centre of attraction for this home theater is the wall lighting. Lights are mounted on the narrow orange sections of the wall to lighten up the navy-blue ones and the sitting area. You have orange picked for the sofa color and matching orange and blue fabric pillows. All eyes are set to be on the white board on the front, where the entertainment will be.